Cashel Blue is a semi-soft blue cows’ milk cheese and is unique for being Ireland’s first farmhouse blue cheese. It is all made on the dairy farm of Jane and Louis Grubb near Cashel in County Tipperary and was first produced in 1984. They researched the Irish market at the time and found nobody making farmhouse blue cheese. The cheese they consequently started to produce was softer than existing cheeses in the UK market and so they let it remain soft and created their own niche in the market. While some milk is purchased, the majority of the milk comes from the pedigree Friesian dairy herd on the Grubb's farm. The fat content of the 700 gallons of milk used for each batch of cheese is crucial, if it is too creamy then it becomes difficult to form the blue in the cheese. Once the pasteurised milk is warmed to 30 degrees, the starter culture and the blue penicillin mould are then added. After the milk has curdled, the whey is pumped off and the curds are removed from the vat using linen scrim cloth which also acts as a drainer. The curds are gently placed by hand into the cheese moulds, but not pressed. To create the optimum conditions for the blue mould to grow, the cheeses are pierced with stainless steel needles. They are then stored on their side on timber cradles or boards at 10 degrees until they are two weeks old, by which stage the blue moulds will have started to form in the interior of the cheese. They are then taken out and washed by hand in a brine solution, dried, wrapped in foil and stored at 4 degrees until they are ready to be despatched. 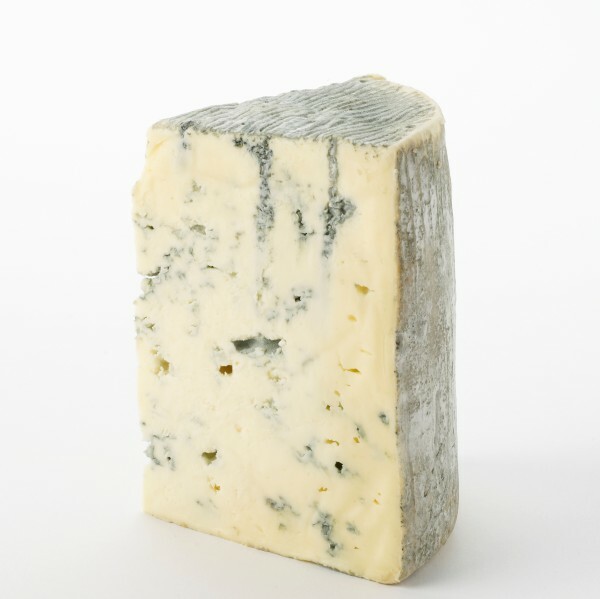 Cashel Blue starts as a firm textured, crumbly cheese but with ripening it takes on a soft, creamy, almost spreadable texture. As it matures, the flavour also changes, growing stronger and becoming spicier. The rind is very distinctive with a covering of grey and pink moulds. Cashel Blue won gold at the Irish Cheese Awards 2017 in the Blue Cheese category. Jane and Louise Grubb of Cashel Blue won the Lifetime Achievement Award at the Irish Cheese Awards 2017, in honour of their incredible accomplishments within the field of Irish cheese making.